Produktinformationen "Compass Fibreglass Solar Modules"
Recharge your batteries with solar energy and become less dependent on a mooring with electricity. 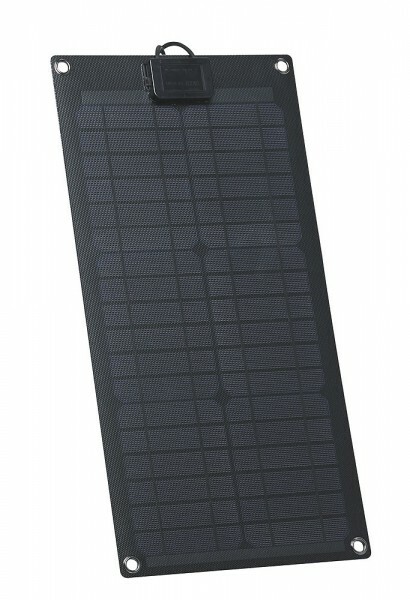 A very light 12 V solar panel, equipped with two waterproof MC4 connectors. The module offers up to 10% flexibility: you can walk on it without damaging it and it is of course waterproof. The bottom fibreglass-reinforced, making it very durable. The module is characterised by both its very flat construction and its high efficiency. It is also very easy to install. The solar module cable is 1.4 m.
Weiterführende Links zu "Compass Fibreglass Solar Modules"